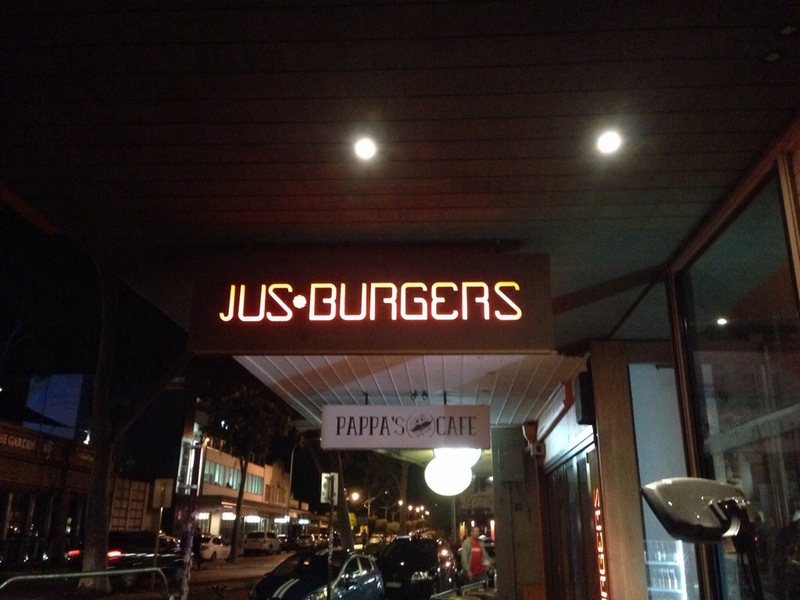 On a chilly Wednesday night we were invited to the newly refurbished Jus Burgers in Leederville to check out their new menu. The store has a bit of a Melbourne feel, a rustic but polished edge and the narrow restaurant makes you feel just a little like you’re in a laneway. You’ll find that the Jus Burgers stores all have their own feel to them, but the Leederville store seems to be a bit of the flagship. Inside it was warm and cozy, it was bustling for a mid week as it seems that everyone else had the same idea as we did. 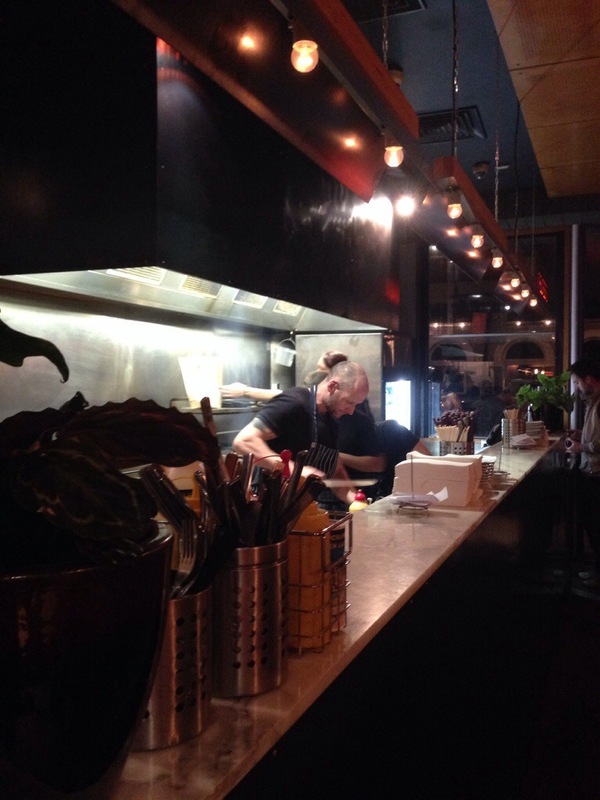 We had a lovely chat with Justin Bell, the Jus behind the burger bar. He is such a passionate man, who really loves his food, and it was great we could lure him away from the grill to talk to us. 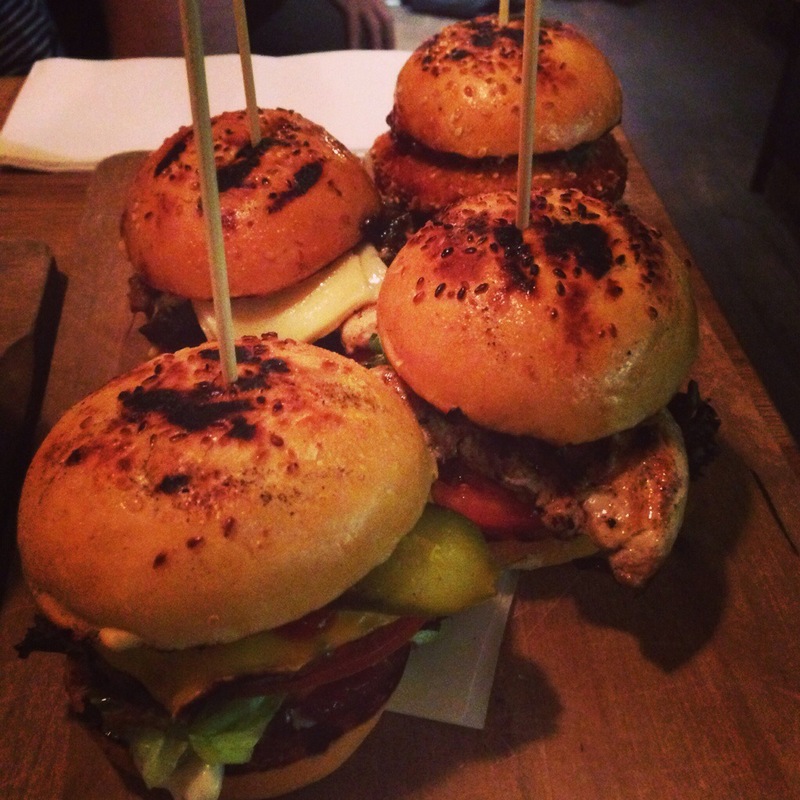 Not only does Jus run all five burger bars but he is also behind Pinchos, making him a very busy man indeed. 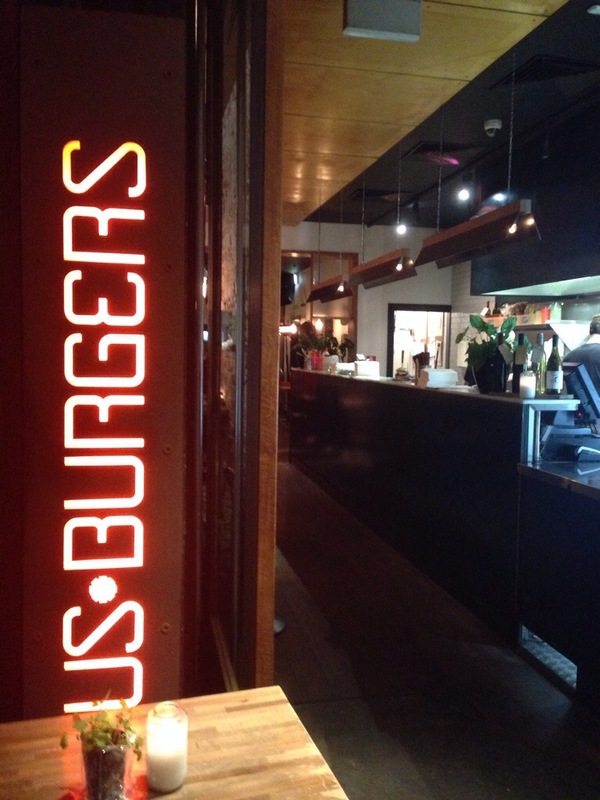 Along with the newly refurbished Leedy store, Jus Burgers has a bangin’ new menu, featuring some new burgers and sliders, brioche buns and some truly unique sides. Better yet it perfectly caters to foodie tastes, with great fresh produce from local suppliers. We started by trying the new sliders. How good do they look?! 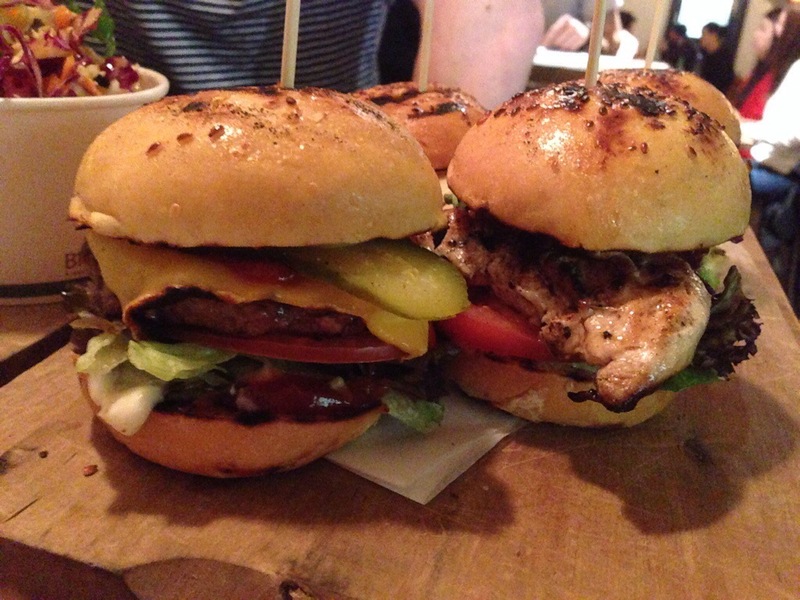 The brioche buns have that bit of shine to them and they were all packed with delicious ingredients. 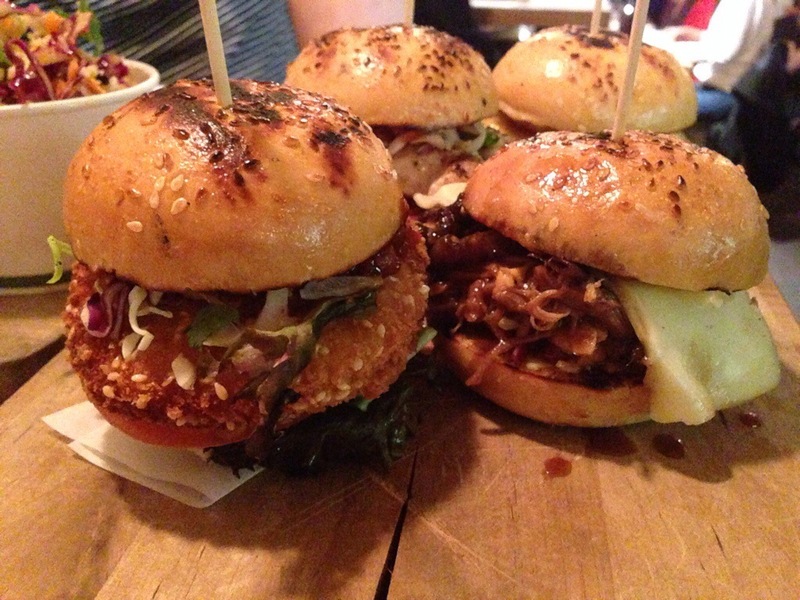 As an overall impression we found the sliders to be wonderful, sticky, messy and delicious. The flavours were so well balanced, there was nuance and flair in how they were put together. They have a bit more finesse and uniqueness to them, unlike what you’ll find at burger chains that seem to be everywhere these days. This is the burger, the burger that every burger wishes it could be and every diner wants. We loved the tender, char grilled beef, melted cheese and proper American mustard. It was a succulent, meaty, and delicious burger, and as soon as we’d finished it we wanted more! If you’re looking for a traditional, American burger, with beef and cheese, salad and pickles topped off with ketchup, the Americano is the one for you! Next up was the South East Asian slider, you can have it with any meat but we tried it with chicken. The slider had an Asian coleslaw, a wicked chilli relish, salad, crispy shallots and garlic all served with a lovely lime and coconut dressing. This burger was an explosion of flavour, you could really taste the Asian influence and the chicken was nice and tender. This was another messy eat, but we really enjoyed it, the chicken was a very complementary meat choice to have with the Asian flavours too. A close second favourite to the Americano was the pulled pork slider. There’s a reason everyone loves pulled pork, it’s tender and practically melts in your mouth. The slider had that sticky sweetness and the pork went really well with the balsamic onions and slaw. Its a meal that’s guaranteed to satisfy, and leaves you wanting to lick your fingers to get more of that sweet and sticky goodness. The Shark Bay Prawn slider was a bit unusual, and we weren’t sure how we felt about the concept initially. The prawn flavour was actually really lovely, it came through really well and was quite nice with the Asian slaw, shallots and garlic and the coconut lime dressing. However we felt the slider was a bit too much like a seafood version of the South East Asian Burger, and while the prawn and chilli relish was a nice combination it still doesn’t beat the other burgers on offer. Jus also has a collection of new sides to compliment the burgers and perfectly engineered for foodies. I’m going to start with the blue cheese and truffle oil chips because I think they epitomize how great this menu is. These are amazing ingredients and to be able to order them with my chips means I’m in heaven! 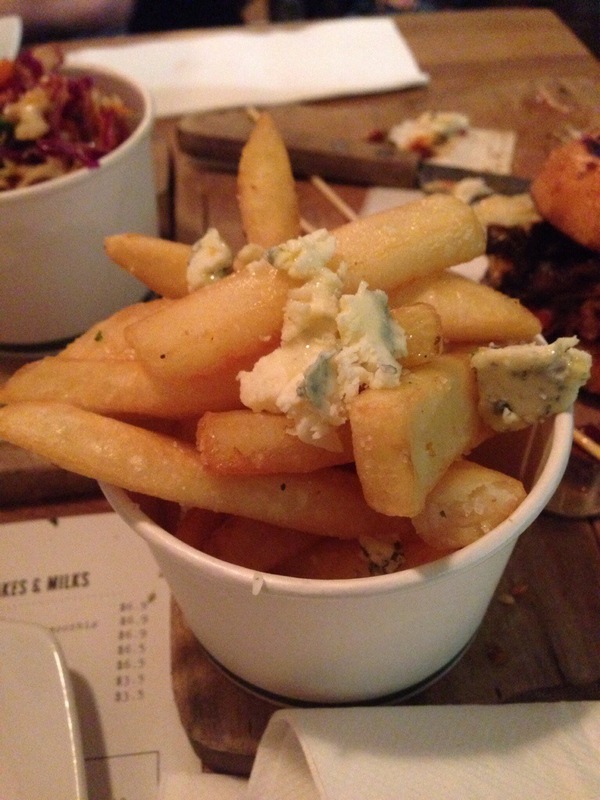 I just loved the creamy and pungent (in the good way) blue cheese with that slight truffle hit, and the chips are perfect carriers for that flavour hit. This is one of those meals that you just have to come and try for yourself! The sweet potato chips had that really crisp outside and soft inside that makes a chip great, and they were sweet but not too sweet. To our surprise we preferred them to regular chips, maybe something to do with that crunch when you bite down, or perhaps because they were huge, either way it’s a thumbs up from us! We are quite find of onion rings and have our own ‘secret recipe’ that we tend to refer to as making the best rings around, so it was with great interest that we choked down on Jus’ onion rings. They had a really lovely crispness to the outside as you bit down but the onion was soft inside, just how it should be. The batter had bread crumbs in it which we haven’t encountered before but it wasn’t as heavy as we were expecting. I don’t think we’ll be abandoning our secret recipe just yet, but it’s good to know where we can find some good rings when we’re out and about! For the health conscious, or people who just like salad you can order it as a side. It’s has a lovely crunch of cabbage and ours was the Spanish slaw with a sweet sherry vinegar, honey, and paprika dressing. There’s also all the accompaniments you could want including an aioli, and Cajun and sour cream. You’ll find some unique mixes on the table too, both a herbed salt and a chilli of Jus’ own concoction, perfect to go on your chips. 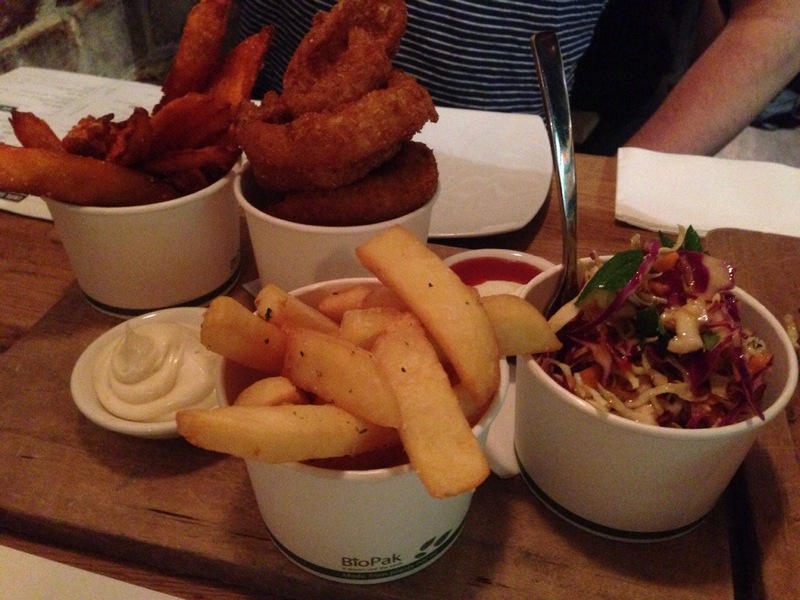 The things we really enjoyed about the new sides were an ability to customise it to really make it our meal. We looked around the room and and it wasn’t just us going wow, but everyone around us too. There were lots of satisfied noises and we think its safe to say the new sliders and sides are a hit! 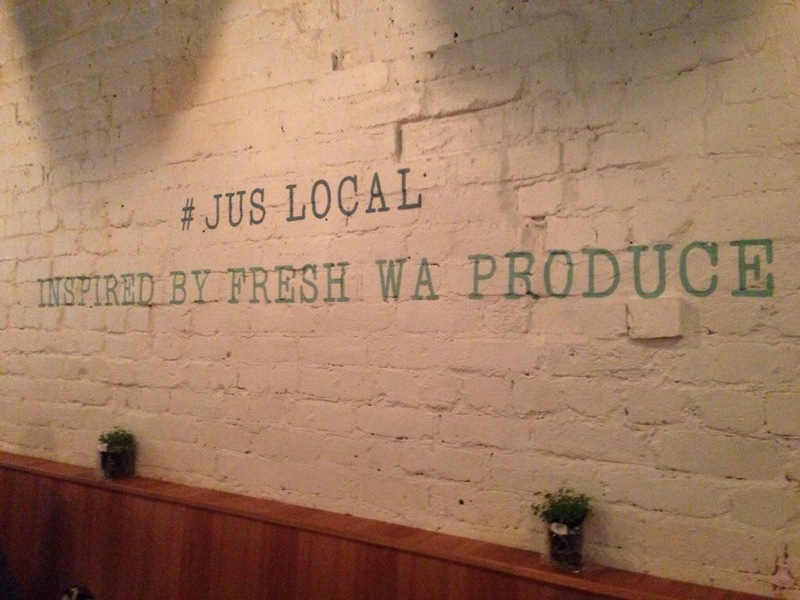 Be sure to head on down to the newly refurbished store in Leedy, or your local Jus burgers and check it out. This place looks great. If you’re ever interested in posting a guest review on my site then I’d love to hear from you. I’m trying to get a world food map going for good fast food and this would be perfect for it. http://www.OutForLunch.co.uk is the site. Thanks! I know! We absolutely loved it!